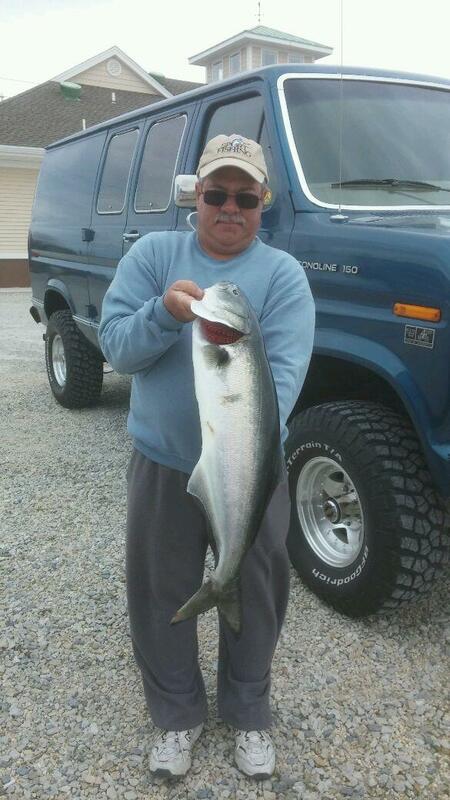 Cj Polhamus shows his 12 pound slammer blue that he caught on light tackle today. CJ was a winner in the 2014 Fishermen Magazine coast-wide tournament (weakfish). He was scouting for weakfish when the big bluefish showed. He said, there was no bird play, but you could smell the bluefish. 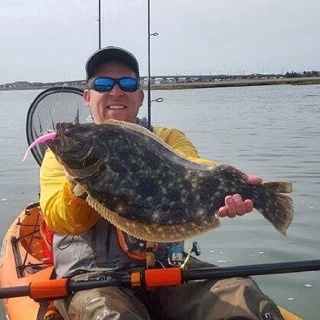 Striped Bass,big flounder and even black drum from the beach have been caught this week. However, they have all been caught by the super sharp. ← Spring striped bass bite has been good, for a few.